A few days ago, the Chinese HTC blog 911sniper that most HTC ROM leaks originate from posted images and a minimal amount of information on HTC’s 2 newest and mysterious devices: the Rider and the Kingdom. Not much was known about either, except that the Kingdom has a qHD (540x960px) resolution. Update: Porting of this ROM to the Desire HD is already in progress. After downloading the HTC Kingdom ROM and ripping it apart, there is no doubt in my mind that the Kingdom and the EVO 3D are one and the same, the Kingdom being EVO 3D’s codename. First of all, this is clearly a Sprint device. It is evident from the name of the ROM (Kingdom_Sprint_WWE…) and the fact that inside it contains references to WiMax all over the place. Going further, the qHD screen matches the one on the EVO 3D, and the only differences I can see are in the looks – 911′s device has “HTC” in the center with the circles around the buttons not visible, while our CTIA hands-on with the EVO 3D showed a slightly different picture. However, having differences between test and production devices is not unheard of. Based on the build.prop file, we’re dealing with a Gingerbread build with a familiar build number GRI40 (Android 2.3.3) – htc_kingdom-userdebug 2.3.3 GRI40 eng.root.20110430.001439. If you remember, the EVO 3D comes with Gingerbread, so things check out here. I think that the HTC Kingdom is the EVO 3D. 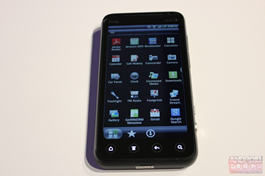 I’d be surprised if HTC had an almost identical to the EVO 3D device, also on Sprint, in the works. Please prove me wrong if you see something I’ve missed. P.S. I’ve taken a look at the static and live wallpapers and disappointingly found pretty much nothing new. P.P.S. 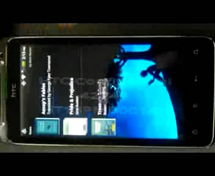 The HTC Rider ROM was leaked as well. from the original link (very confusing and all in Chinese) or from the collection of faster mirrors I just uploaded.